Nathan Hume will be flying off to Louisville in Kentucky in October, as part of his reward for winning the Amenity Forum Sprayer Operator of the Year. 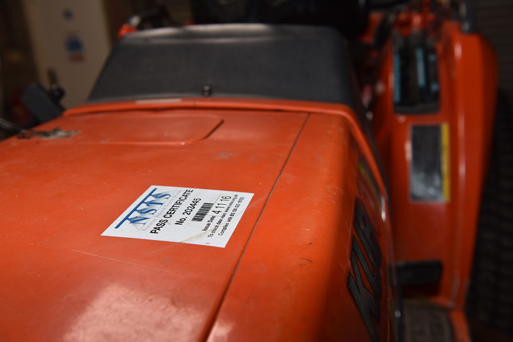 Pitchcare visited him at national vegetation management specialists, S H Goss & Co. Ltd, to pick up some Top Tips on what makes a winner, and how he meets some of the increasing challenges of weed control. As contracts manager, practical sprayer operator and company ecologist with SH Goss, Nathan Hume is passionate about precision application and getting his spraying operations spot-on. He reported that taking part in the Awards, sponsored by ICL and Syngenta, was a great experience. 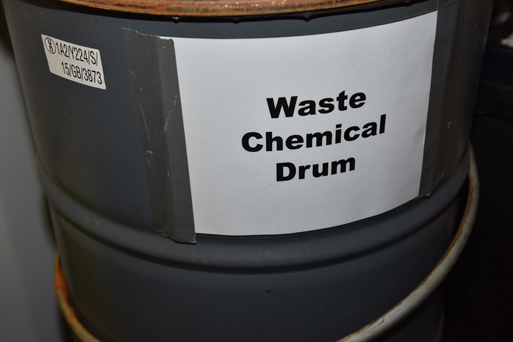 “As with all operations, it’s important to review and appraise what we do and how we can continually improve. The Awards initiated us to look closely at what we do, and a check list that we were following best practice. Nathan highlighted that they have a range of application tools available to match different situations. 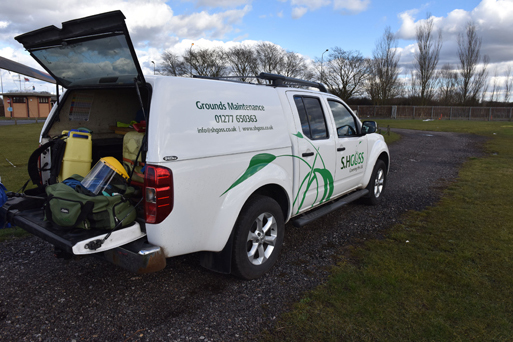 Much of the amenity work is still with knapsacks, along with significant use of CDA for specific situation, particularly at the start and end of the season targeting weeds at a smaller vegetative weeds. 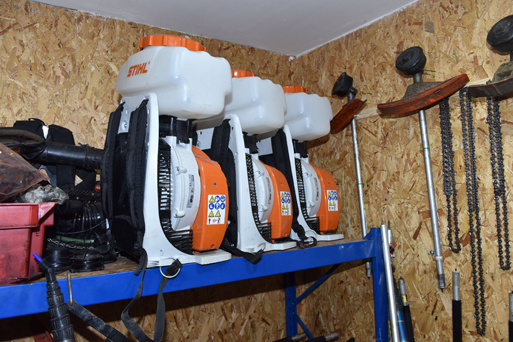 Mechanically he can call on the firm’s tractor mounted sprayers or a specifically adapted Landrover, using either its spray boom or a single directed nozzle for more targeted spraying. 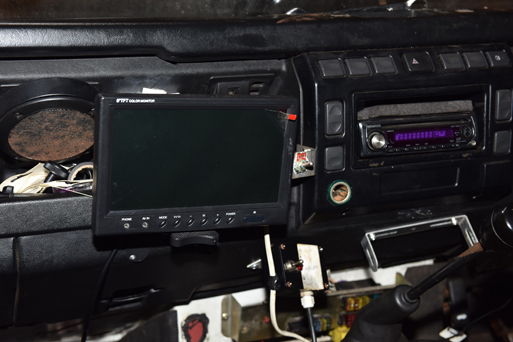 Nathan has fitted the Landrover with an external camera and a screen in the cab, so that he can see and record exactly what has been sprayed and where. Every one of the firm’s individually numbered knapsack sprayers is checked-over, serviced annually, and calibrated each month. 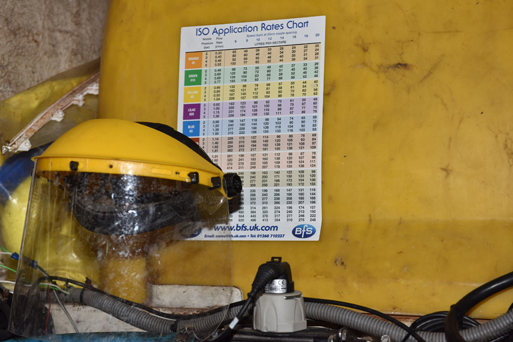 An operator is allocated their own sprayer, with its known output. 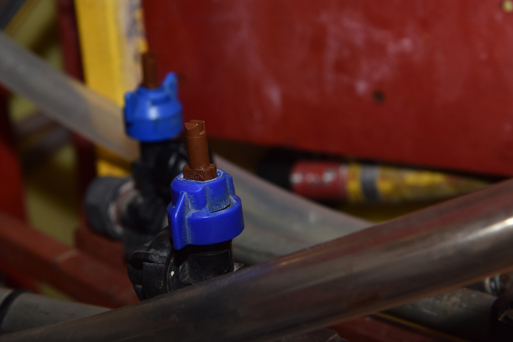 Well maintained sprayers can remain consistently accurate for many years, advocated Nathan, although there is a preference among operators for newer more ergonomically comfortable sprayers that has no bearing on accuracy, but is better for day-long use. 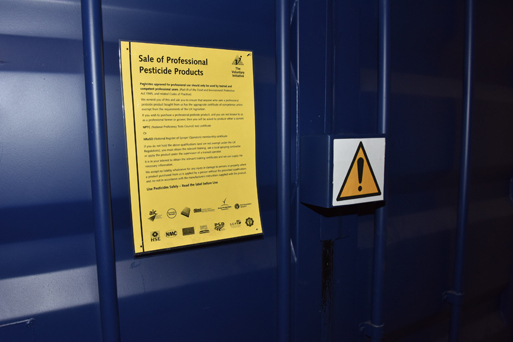 The company’s national head office, near Chipping Ongar in Essex, has a full sprayer workshop, as well as a purpose built BASIS Registered spray store. 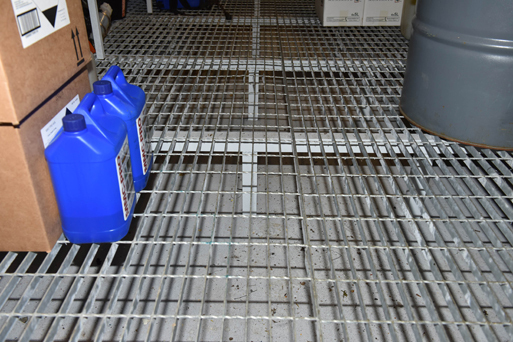 The store is fully-bunded, under a metal grid floor, so any spillage would be fully retained with no chance of resulting in point source contamination. Plenty of storage racking ensures products are readily accessible. The space and layout also enables the operator, or the store manager, to put ready any package of products required for the next day, so operators can get to work quickly and efficiently. 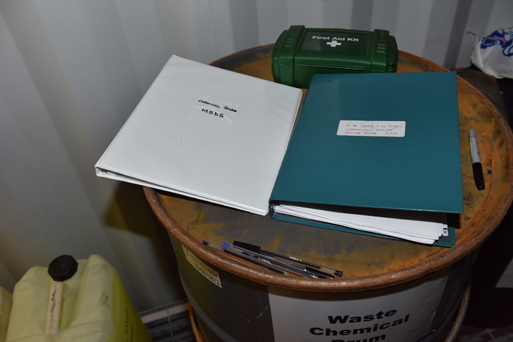 The staging is arranged and managed to avoid lifting of heavy containers. 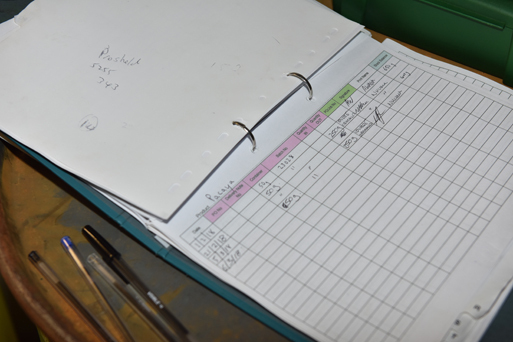 A meticulously maintained stock book on the side maintains a constant record of what, and how much, of any product is in the store, along with where and when anything has been used on a job – which is essential for traceability, but also good business sense for job cost allocation. 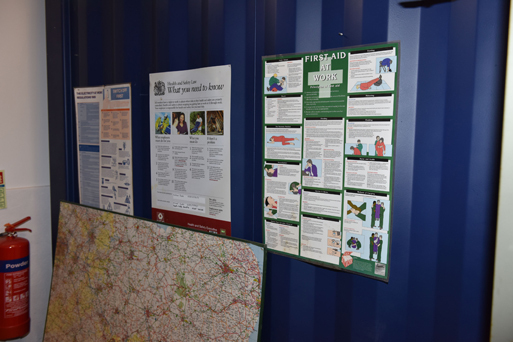 On the wall there is an eye-wash station, first aid kit and health & safety instructions. 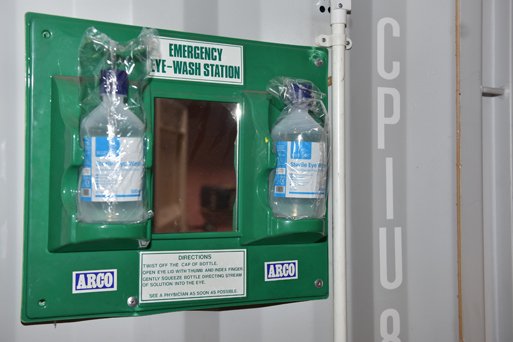 Dedicated bins inside the store can safely hold empty pesticide containers and used PPE prior to disposal, with no risk of outside contamination. 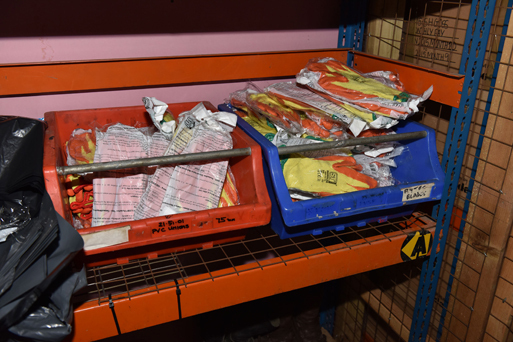 Not only is the store within the insulated industrial building - ensuring products are kept frost free - but can itself be kept locked when not in use with secure steel doors. 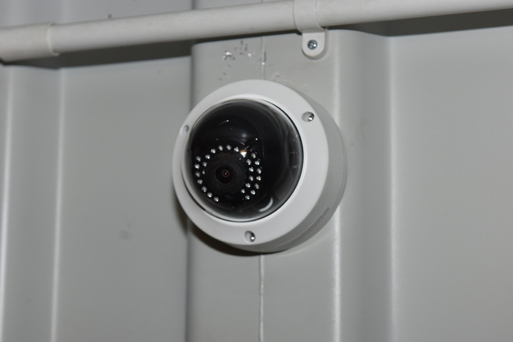 There’s even a video camera inside the store to record activity, should anything ever come into question. 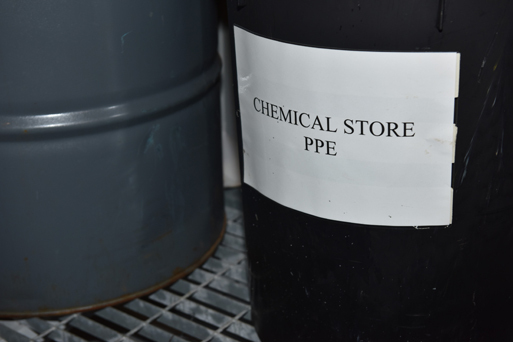 Out on the road, when products are in use, the company’s spray teams’ vans are equipped with chem-safe stores. 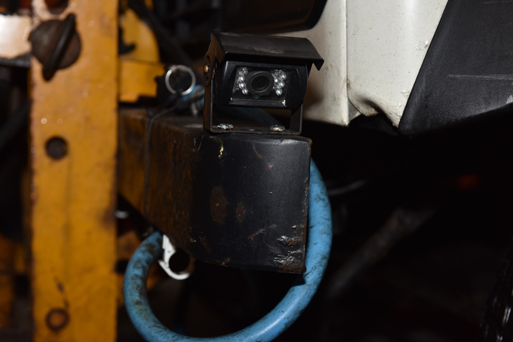 Vans can also fitted with Dosatron units, delivering precisely measured amounts of product into the knapsacks – without operators having to handle or measure concentrate and eliminating the risk of spillage. 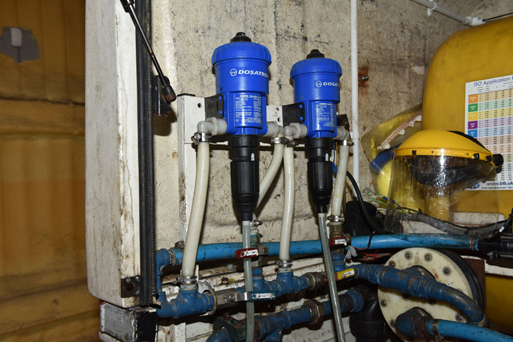 Two Dosatron units in a van enable mixes to be applied where appropriate. 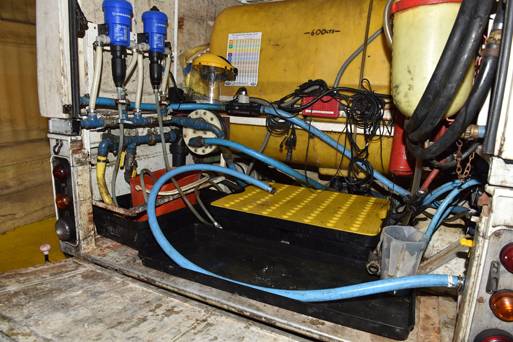 The vans also have fitted trays with bunded sumps, which would contain any potential spillages during filling. In some cases, weed control is increasingly a matter of trying to hold it in check, rather than any chance of eradication, he argued. 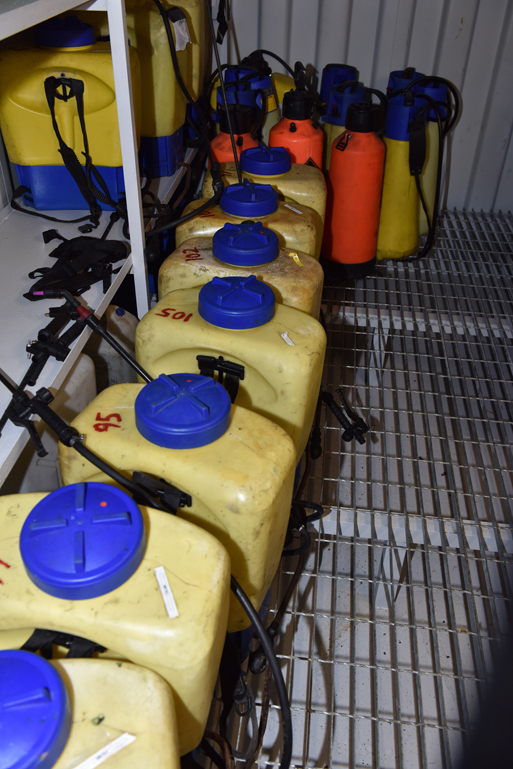 The firm is continually running its own trials to test different products and options to find better ways to improve spraying operation and results. For the herbicide products that is finding which label recommendations work best for them, but also how wetters, acidifiers, pH balancers and surfactants, for example, could help enhance results under different application techniques. 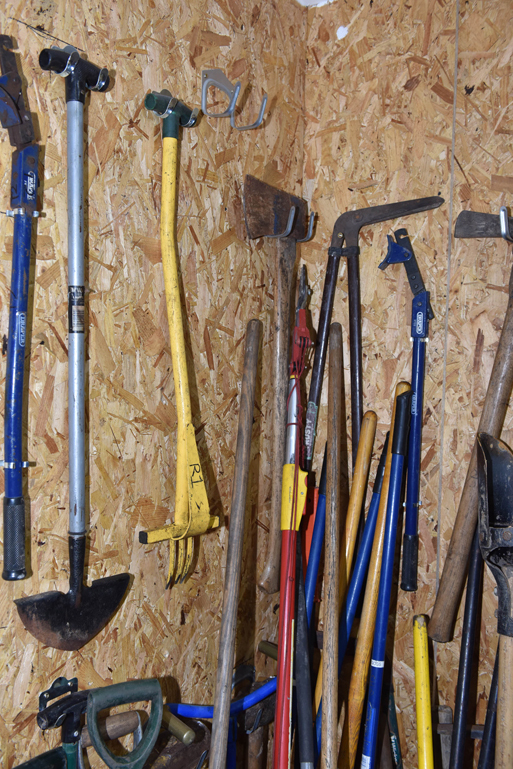 As a nationwide company, Nathan pointed out that practices that are most effective in one area may need to be tweaked to take account of weather, water sources and weed species somewhere else. “Once we get an understanding for a specific site’s weed burden, we can start to tailor application timing and product use most appropriately. That could mean a different mix of contact and residual herbicide tailored to the situation, or selecting a product most appropriate to the soil type and weed profile. Meticulous records of what has been done, and why builds a picture of every site’s needs, whilst looking at new technology offers exciting future for aspects such as weed mapping or identifying issues to help with timing. A drone or satellite picture using NDVI technology, for example, could identify the amount of vegetation present on a street and its vigour, which would tell a spray team when to start and guide what would be required. Nathan’s a self-confessed weather app junkie, and highlights that improved accuracy and precision of weather forecasting has been one of the major gains for spraying operations in recent years. Being able to get ahead of weather events is a huge step in effective timing, whilst better formulations are more rainfast and still achieve good results if it rains after application. He also reported better glyphosate results from spraying outside of the heat of the day, when plants tend to shut down. 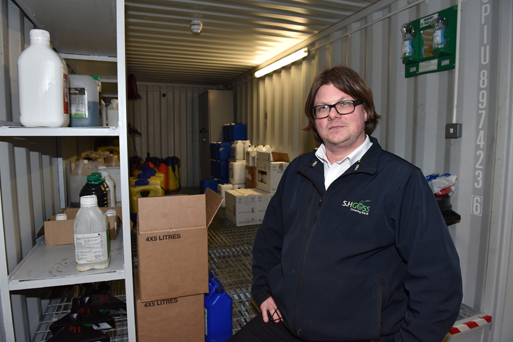 “The weather is clearly the key factor in everything we do, but understanding all other aspects of spraying and weed control better, means that we can manage its influences more effectively,” he added. Nathan advocated openness and clear communication with the public is key to avoiding conflict and criticism of spraying practice. If you explain directly what, how and why you are doing it the reception is invariably positive. 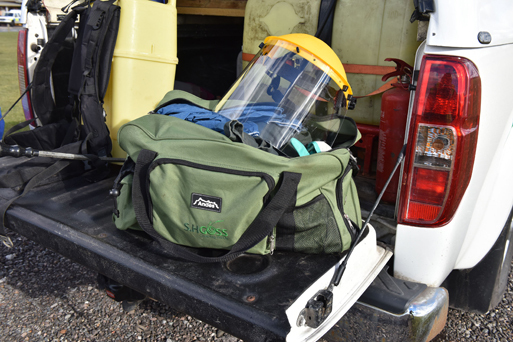 Training of staff is an important step, along with a clean, tidy and professional approach that instils confidence in the public perception of sprayer operators. He reported that contact details and information are supplied on public prior notifications of some spraying operations, particularly in sensitive areas. However, even with recent publicity over glyphosate use, he has rarely had a phone call and no public conflicts that could not be allayed with truthful information – including reference to the Amenity Forum that has helped support.